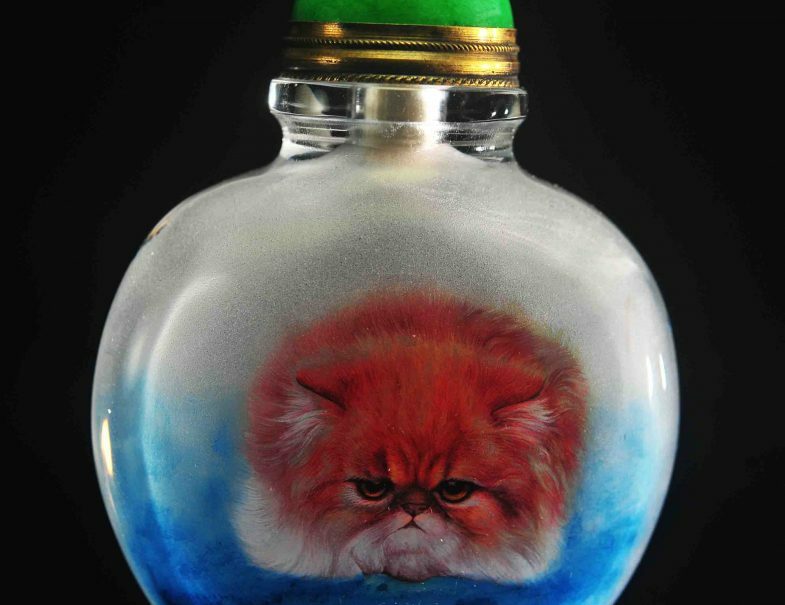 Like an inside painted portrait bottle with an image of your loved one, your pet or a respected person? Like a calligraphy bottle with your favor poems or rhapsody? Like an artist style and work but want something more personally attuned to your liking? Our artist can do commissioned piece for your collection or help you with a special gift for someone special. 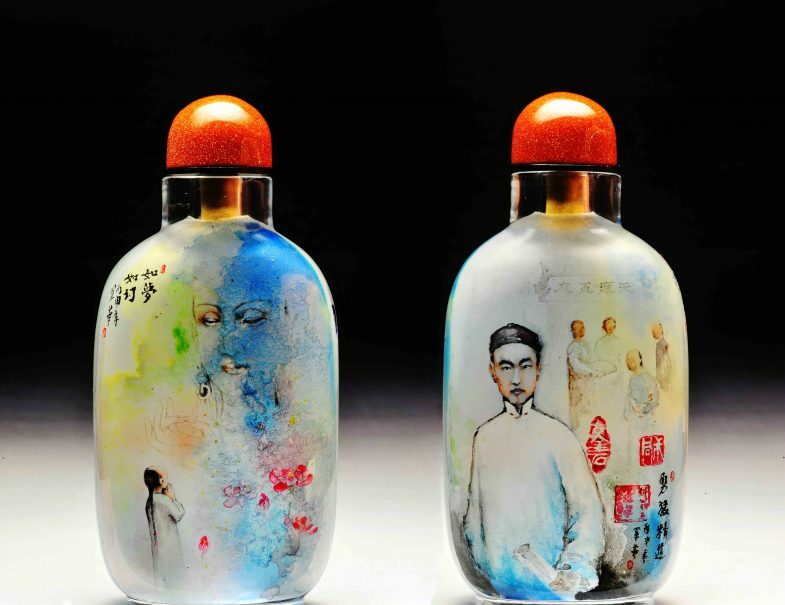 A commissioned inside painted portrait bottle is a great and interesting piece of art. It can also be a legacy for the future, a special gift or a token of love presented in a special way. 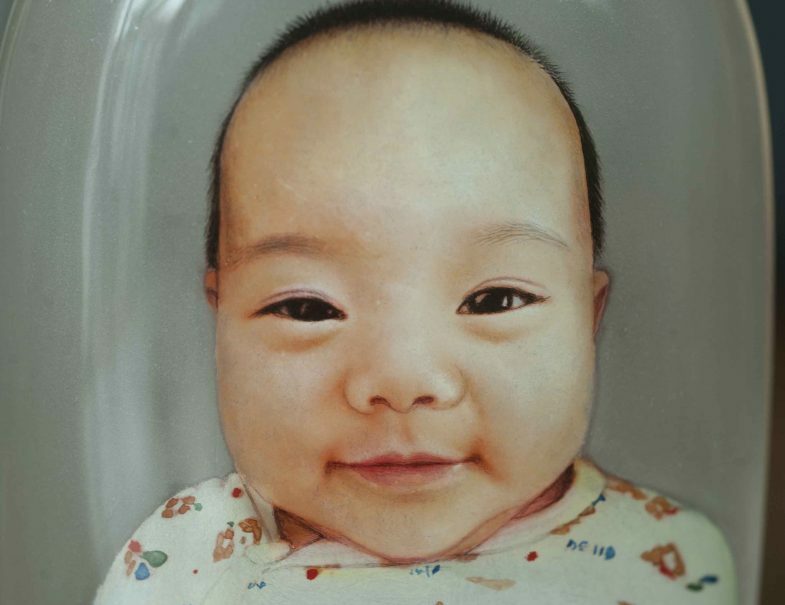 More often than not, through a portrait bottle, you can see another interesting facet of yourself and your love one. Investing in an inside painted portrait bottle is investing in a thing of joy for generation to come. Commissioning an Inside Painted Portrait Bottle. Who should be in the painting? Do you want to commission a family portrait or a simple portrait of one person? Would you like to commission several portraits or all on one bottle? Do you want both side of the bottle to be painted with portrait? Or do you like bottle with one side painted with portrait and the other side with calligraphy or painting? What size, shape and design of the bottle would you like? Do you have a high-resolution photo to be use for the portrait painting? Should the portrait include pets, your house, your garden or some meaningful objects or should it just a focused simple portrait of one person. You can also commission a portrait of your pet. Do you like full colour or monochrome portrait? Or paint it like an old photo with a Ciba tone colour? When do you need the work to be finished? Often there is a special date such as an anniversary, birthday or retirement. Take note that a portrait bottle could take up to 2 months to finished depending on the complexity. Submit your commission request to us after going thought the questions asked in the brief. You might not have all the answers. No worries, we are here to help you go through some of the selection. We will also provide examples to help you with your selection. We will also match the artist per your budget and provide example of his or her work for your consideration. We will provide examples of the bottle to be used and you can select a bottle that suits you best. We will be here to give you a helping hand. Submit half of the payment at the start, and the other half upon completion of your commission piece. Commissioning an Inside Calligraphy Bottle. Which poem or rhapsody do you want. When do you need the work to be finished? Often there is a special date such as an anniversary, birthday or retirement. 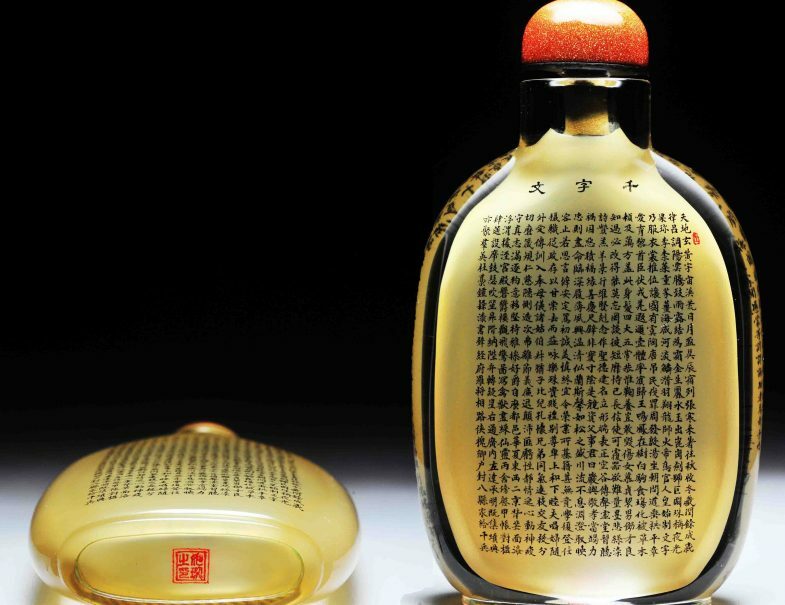 Take note that some of the calligraphy artist are heavily engaged and a bottle could take up to 6 months to complete depending on the complexity. The approximate budget. This will define the field of artists. There is no point in wasting time searching among artists who are way out of budget. 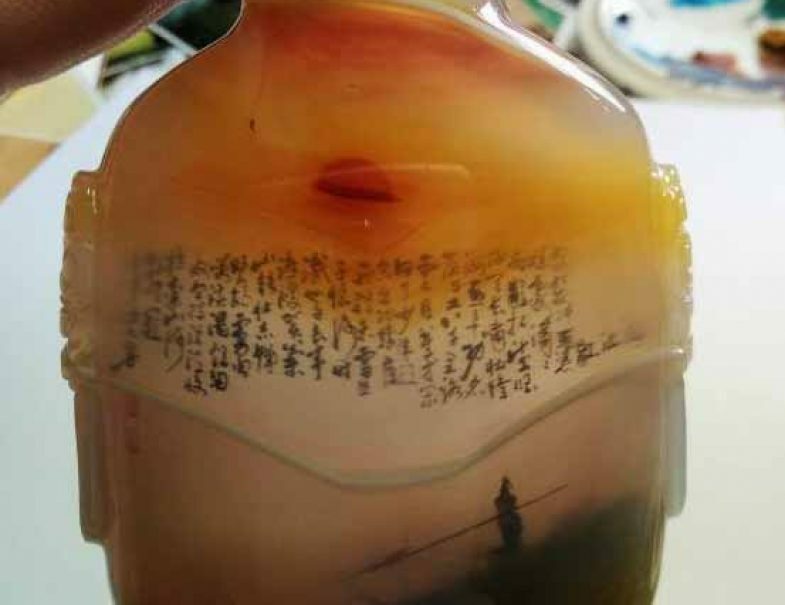 The price-range inside calligraphy snuff bottle can be large because of the artist and the number of words written. 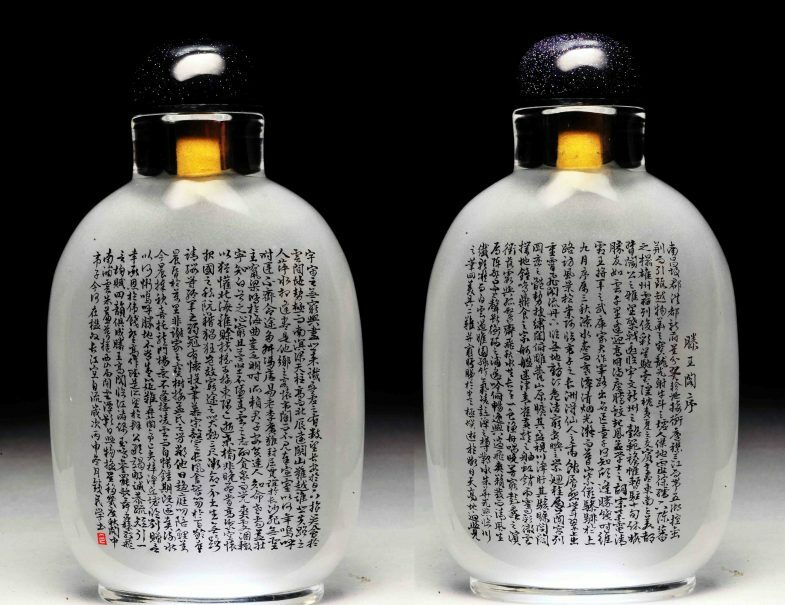 A student bottle using glass bottle can be USD100 while as a bottle written by well-known master with the best natural quartz bottle can be USD20,000 or more. Like the style of a painter but want a certain subject that you like? A commissioned inside painted snuff bottle can be specially done for you. You will also need to understand that an inside painted snuff bottle cannot be easily altered once its painted. Therefore, good communication is very important before work commences. You will also need to give the artist some degree of freedom to put his or her creativity into the work. What do you want to paint? Do you have a photo or a picture to convey your idea? Do you want to paint a continuous scene or two separate pictures on two sides of the bottle? Do you like full colour or a monotone painting?